You need to make it cooler !! Your service is the worst I have seen !! Negative but authentic consumer reviews are way more effective than positive made up reviews. The sooner that companies realize this, the better it is for them for they should not fear the consumer to review their products or services but act on their feedback. With social media playing a critical role in online product/service reviews, it is easy for a customer to distinguish and authenticate genuine reviews from fake ones. A negative product review on a website lends more credibility on the feedback mechanism than just having positive ones. In my line of business i.e. telecom value added services (VAS), there ought to be customer grievances and feedback on social media that inculcates learning from mistakes and rectification rather than having all good reviews from their own employees. A negative review that gets corrected gets more buzz than a positive one leading to more brand awareness. The biggest mistake a brand can make is thinking they could control social media just like they could control an ad campaign; fact of the matter is that you just simply cannot take any of your ad campaigns and migrate it to a social media platform. Social media can’t be a simple problem solver. Like you can’t segregate the rotten tomatoes from the good ones at a Tomatino fest, brands cannot erase the feedback they receive on social media however online criticism and fear should definitely not hold them back. On a daily basis, we see a number of brands being introduced and a even larger number getting phased out due to lack of planning, poor marketing, incorrect targeting or bad positioning strategies. Fading away of these iconic brands hurt the parent companies and create a void in the companies portfolio. Lets take a couple of examples to understand how companies and brands are affected. 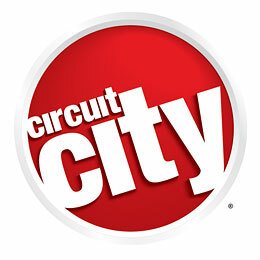 Circuit City, one of the largest 60 year old electronics chain with over 567 stores laid off several thousand experienced sales personnel and replaced them with cheaper but less knowledgeable workers which in turn took a toll on the brand’s customer loyalty. Also, having to compete with the giant Wal-Mart which was the world’s largest retailer aggressively promoting its move into the electronics market with low prices led to Circuit City declaring bankruptcy last year followed by its acquisition by Systemax. Kodak which introduced Kodachrome in 1935, the first ever commercially launched successful color film saw a tremendous decline in demand over the last 2 decades as digital photography became increasingly available and now even cheaper & simpler. Kodak not being game for keeping pace with the changing times realized that sales of Kodachrome were less than 1% of Kodak’s still picture film revenue and saw its eventual phase out. Microsoft too quietly closed the book on Encarta last year as the free reference materials available online came to eclipse the once-popular digital encyclopaedia. Encarta, a relatively revolutionary product when it was first published on CD-ROM in 1993 contained a trove of articles, images, maps and multimedia features. Later, the same content was also made accessible online for a yearly subscription fee. 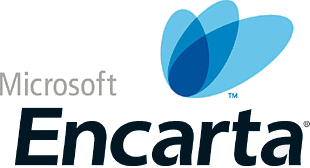 But Encarta’s popularity faded throughout the last decade which saw the rise of the Web-based encyclopaedia, Wikipedia. Even though it has been criticized as inaccurate and unreliable, Wikipedia is free of charge and unlike Encarta, it even gets updated in real time. 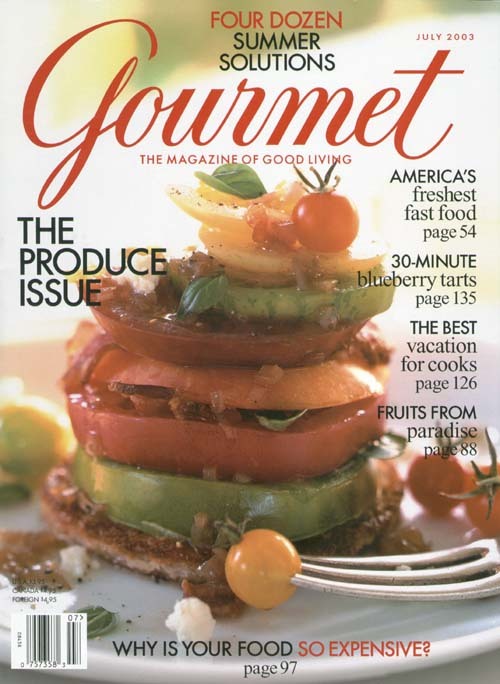 Of the multiple publications lost last year, Gourmet Magazine was one of the hardest to swallow as introduced in 1940 it was the first US magazine on food and wine. Gourmet, which boasted of nearly 1 million subscribers fell victim to declining ad sales revenue and digital media pressures even though the Gourmet recipes still appear on Epicurious.com. Some other high-profile magazines that suffered a similar fate this year were: Portfolio, Vibe and National Geographic Adventure. IS A COMPANY LOGO THAT IMPORTANT? One might think that the importance of a logo is hugely overblown, especially if the business is not committed to branding. Branding is about positioning. It’s about living a promise and creating a relationship with your customer. It’s not about investing in a graphic design. In today’s world, logos are important even after the brand is established. Even then effective logos don’t really need to be these super creative works of art with visualizations of your product or values but could be better off with just your name, using a unique font presentation. The logo is a symbol that provides the customers with instant and powerful brand recognition of your business and the products or services that the company offers, but it is also critical to ensure that the logo sends across the right message to the customer to maintain a consistent brand image and increase customer recognition as a weak message could weaken your overall marketing strategy. When you discuss Microsoft, one can’t recall Microsoft having a logo. So much for all the thought and money that went into that four-colored window pane. At the same time, there is probably not a person in America, and most of the world, who doesn’t know that the Golden Arches belong to McDonald’s. You don’t even have to see the name to know. A logo can also clearly reflect that message the brand wants to convey, therefore a strong association between the brand and the logo is inevitable. A logo should not only reflect growth and professionalism no matter how small the company is today, but also ensure that the logo one selects is not dated but can be used effectively year after year keeping in mind how consumers would perceive the company in order to be continually associated with it in the times to come. The mission of your logo is to portray the values and goals of your company to the stake holders and hence having clearly defined values and goals is preordained. A logo is not branding. While it’s common for people to mistake a logo as the ‘company branding’, the logo is only a part of the entire corporate branding/marketing strategy acting like a small ad for the company apart from differentiating you from the competition. Content marketing is the new sensation that will excel particularly in this time of recession for any brand. It is defined as the art of understanding what your target wants to know and delivering the same in a relevant yet compelling way to grow your business. Any brand that helps the buyer to make a decision in their favour earns more credits than the one that stands aloof, waiting for a call that may actually never come. As it appears to be, each new buzzword always attracts the attention of both the qualified and the quacks. This necessitated the birth of content marketing as a way to educate potential consumers while attracting them to the brand’s services and/or products. Thus, initiating the relationship building process even before the customer eventually decides to buy from you. The content needs to be spread across the brands target segment which requires having a good grasp of what will be beneficial to the audience and the brand. This may begin with research and then combined with active listening gives an idea of the consumer requirements which when produced/sourced need to be propagated and then promoted in the right direction towards the targeted audience. Since, content marketing is dynamic and not once in a life time activity, it requires continuous lubrication/updating. For content marketing to achieve a faster success rate, the brand needs to engage in a multi-media approach that opens the door for the brand to meet different consumers at their preferred locations. A brand could consider social media platforms like flickr, twitter, graphics, blogs’, podcasts etc. to market its contents. Remember, “Content may be the King, but you need an Ace to market it”. In this very dynamic environment today, the customer experience plays a very critical role especially among different cuisine restaurants where there isn’t much to choose from when it comes to quality, size of the portions, pricing, menu options, service, etc. So what does a restaurant do to differentiate itself? Here’s a classic example of a restaurant I came across. A restaurant called ‘Yo Sushi’ in Dubai differentiates itself from the crowd by providing the customers with a unique kind of dine in experience. It offers a feast of sushi food with over a 100 fish, meat and vegetarian hot classics, salads, sushi and desserts in this part of the world which caters to a niche target audience. It also uses the concept of ‘Help yourself to any dish off the conveyor belt’ which passes right by the side of your table. Well, this is just the beginning of the experience for the customer as he/she sees different food stuff in different coloured plates. Typically a plate could define the food as vegetarian or non vegetarian but here is what this restaurant does, it prices the food items as per the colour of the plate like green plate dishes cost Dhs.10, while a blue plate dish costs Dhs.12 and so on. The number of empty plates is counted in the end to calculate the bill making it a first of its kind pricing model and providing the customer with something new and exciting to look forward to. Even though it’s the same food, it results in a unique customer experience leading to customer delight using just an innovative pricing technique. Today, everyone says that we are facing a recession and that customers are getting into a cocoon. The consumer was king and now he is GOD! But the ways I see it is different i.e. as an opportunity knocking right at our door that allows us do to so much more. Should you cut expenditures to you brand to survive a slowdown? Giants in their own field, companies like P&G slash budget, Disney announces 4000 job cuts, and Super Bowl freeze media buying but is it really wise? I think you get what you pay for…and these reactions typically affect the company’s most vital asset i.e. the brand itself. During these times, the organization should build on their existing efficiency (in advertising too), operate as if they were to acquire, lead with controlled experimentation and design for maximum customer engagement. Surveys from leading research agency’s show 70 percent of consumers believe that if a brand reduces prices of their products during recession, it is a weak brand while 64 percent believe that if the price of the product is constant, it adds value to the brand. ‘Brands that increase advertising during a recession, when their competitors are cutting back, can improve market share, profitability and return on investment at a lower cost than during good economic times’. Wal-Mart for example recently facing the brunt of the recession too tried to do the unthinkable launching their house brand ‘Great Value’ with a colorful dominant image across product categories and it sure resulted in profound brand loyalties. Well played Wal-Mart. The tsunami tragedy taught us that disaster can strike at any time from unexpected sources. A crisis threatens the integrity or the reputation of the brand and is generally accompanied with negative media attention. The crisis could be financial, physical, ethical or just rumors. For example, Coke and Pepsi in India had to defend their brands against the allegations of their drinks containing various toxins. Thus, handling a crisis situation requires proper planning and preparation for the brand’s reputation and for management to minimize the negative impact of it. Any plan should be guided by three underlying principles of honesty and accuracy, speed of response as well as clear lines of authority and responsibility. If not a plan, getting a brand consultant, for a few days is a good idea to get the company back on track. A brand is built on a fragile foundation of trust and responding too slowly to a crisis can destroy such trust amongst the public. What’s important here is that not all crises attract the press attention and while some do, the ability to manage the information flow makes a solid brand enjoying sympathy of the target audience. During a crisis there is need for keeping alerts, active listening, observation and tactical, honest response depending on the situation at hand. Post crisis success quantification is also a good idea. It helps you to evaluate what you did, how you did it, how well did it work, what you didn’t do and what you should have done.